An ecstatic Zimbabwean passenger Shylot Sibanda screams with joy as he boards a bus from downtown Harare to the township of Budiriro. The fare has been slashed to a third of what he paid last week. It's the result of government action – after nationwide demonstrations over fuel hikes earlier this month – in a country suffering from spiralling inflation and regular shortages of necessities. 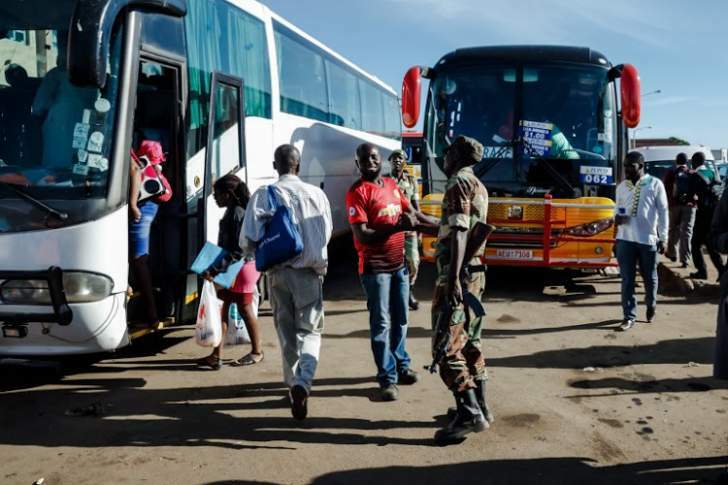 "We are happy with what the government has done and we hope it continues," Sibanda, 40, yelled through an open window as the bus pulled out of the busy terminus. "Now we can afford to buy some food and pay rent and we are very happy," he added, beaming. "We just boarded the bus and paying $3 has come to an end," said one pleased passenger, Nomatter Nyakurwa. Zimbabweans have in recent months seen prices spiral – up to fourfold in some instances. Inflation is officially at 42%, the highest in a decade, but in reality it is far higher. "Prices have increased two, three times and these are the prices we see daily in the shops," said independent economist Persistence Gwanyanya. "Our immediate concern was to make sure we control the chaos that we were now having," said Transport Minister Joel-Biggie Matiza, referring to the recent sharp increase in kombi fares. But "it's not for short term, this is real, it's going to continue, we will make sure that it's sustainable and at the same time viable", he told AFP. The kombi operators – notorious for reckless driving and disregard for rules of the road – complain they are being unfairly put out of business. "The government only subsidised fuel for the buses. They should do the same for our small commuter taxis… so that our fares remain at $1," said kombi driver David Muchada as he touted for passengers. "How are we expected to look after our families? There are no other jobs in this country," he said. Elsewhere on the streets, security forces continue to patrol amid reports of ongoing violence, with more than 1 100 people arrested. The government meanwhile faces an uphill task to lift the economy out of the doldrums. Less than 10% of the employable population have formal jobs – and most of those are in government. Government workers have also threatened to down tools if their demands for better salaries are not met. The deadline for government to comply expired Friday. "The elephant in the room at the moment is the exchange rate," said Gwanyanya, blaming the government for excessive expenditure. If the exchange rate is not managed properly, "we are going to see this economy getting deeper and deeper into challenges and instability", he said.